Shop online for 19 testors plastic models at discounts up to 29%. Cars / Trucks / Vehicles is the most popular of the 4 testors plastic models categories, then Parts/Acc., and Snap Tite. 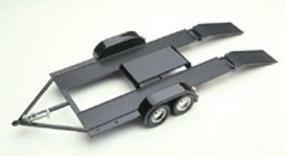 Construct a Tandem Axle Car Trailer with this Partially Assembled 1/24 Scale Metal Model Kit from Testors. Skill Level 1 Kit Suitable for Modelers Age 8 and Older. 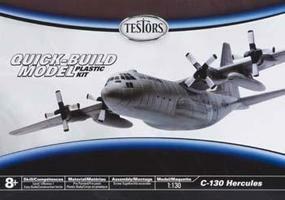 This is the 1/130 scale C-130 Hercules Quick-Build Model Metal Kit by Testors Skill level 1. For ages 8 years and up. This is Model Master Dark Gray Simulated Carpeting from Testors. 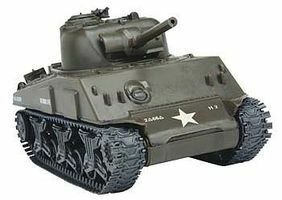 This is the 1/35 Scale M4A3 Tank Quick-Build Plastic Model Kit from Testors. Suitable for Ages 8 & Up. Assemble a B-17 Flying Fortress with this 1:100 Scale QuickBuilder Airplane Plastic Model Kit by Testors. Suitable for Ages 8 & Older. 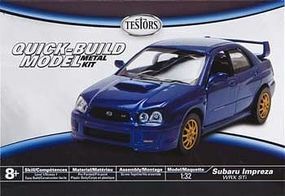 This is the 1/32 scale Subaru Impreza WRX STi Quick-Build Model Metal Kit by Testors Skill level 1. For ages 8 years and up. 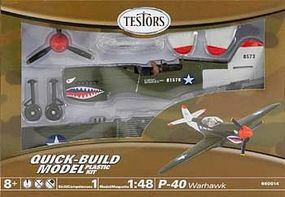 This is the 1/48 Scale P-40 Warhawk Airplane Quick-Build Plastic Model Kit from Testors. Suitable for Ages 8 & Up. This is the 1/130 Scale B-29 Superfortress from the Quickbuilder Airplane Model Kit Series by Testors. Suitable for Ages 8 & Older. This is the 1/32 Scale M3 Lee Tank Quick-Build Plastic Model Kit from Testors. Suitable for Ages 8 & Up. This is the 1/24 Scale Pagani Zonda C12 Plastic Model Kit from Testors. Suitable for Ages 10 & Up. Assemble Francis the Foul Weird-Ohs Figure with this Hawk Classics Plastic Model Kit from Testors. Suitable for Ages 8 & Older. Print your own clear or white background decals. For use with the Testors Decal System (tes9198). This is Model Master Tan Simulated Carpeting from Testors. This is the 1/60 Scale UH-60 Black Hawk Plastic Model Kit from Testors. Suitable for Ages 8 & Up. This is Model Master Red Simulated Carpeting from Testors. This is a 1/24 Scale Saleen S7 Metal Body Model Kit from the Easy Builder Silver Series by Testors. For Ages 10 and Older. 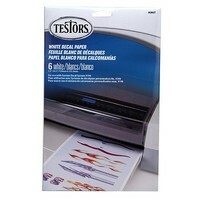 This is Model Master White Simulated Carpeting from Testors.